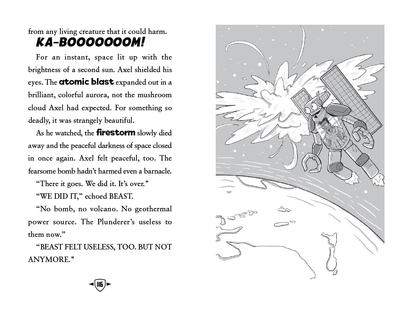 Grabbem Industries are having a blast on a tropical island – a NUCLEAR blast! 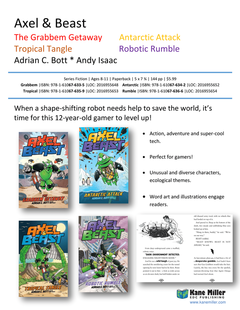 Axel and BEAST have to stop Grabbem no matter what. 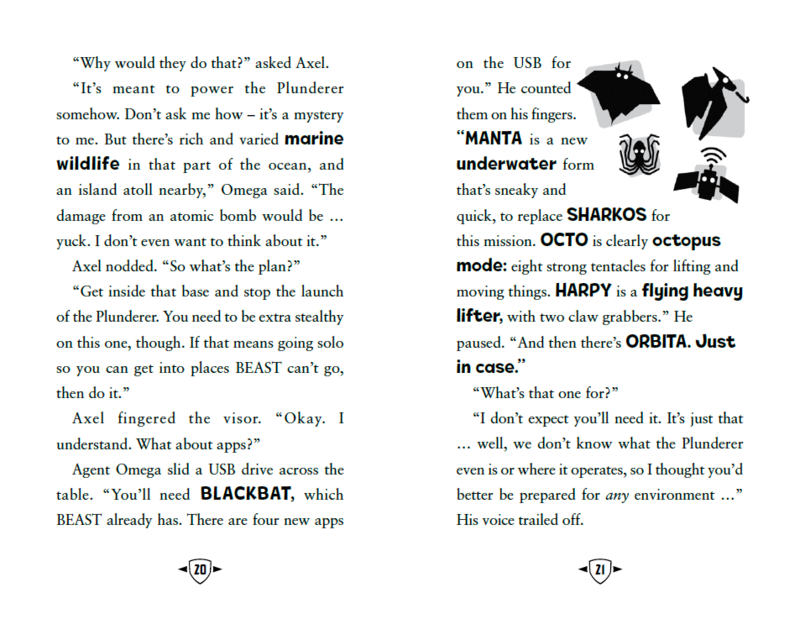 But what if it means splitting up? 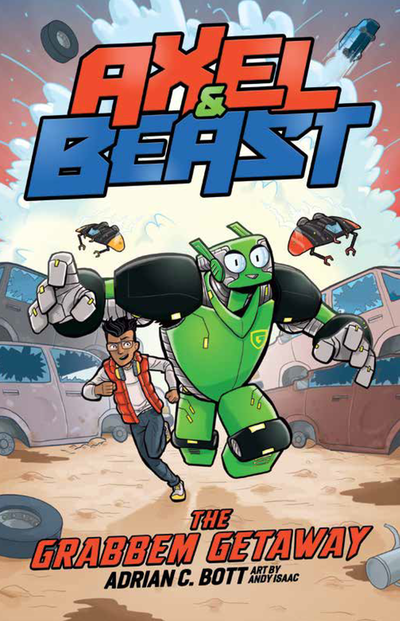 BEAST is no ordinary robot, and Axel isn’t your usual gamer – together they’re an unstoppable team, working to fight Grabbem Industries, and anyone else who threatens the planet. 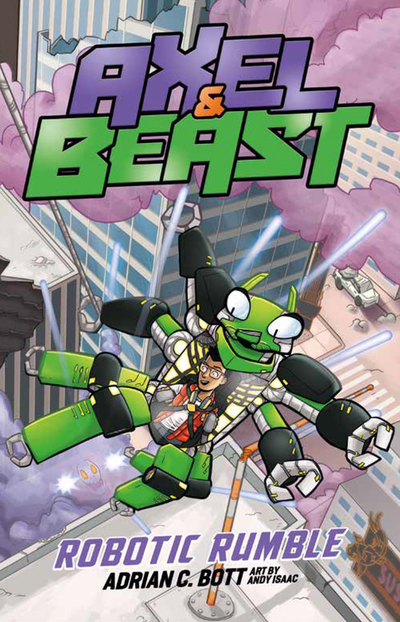 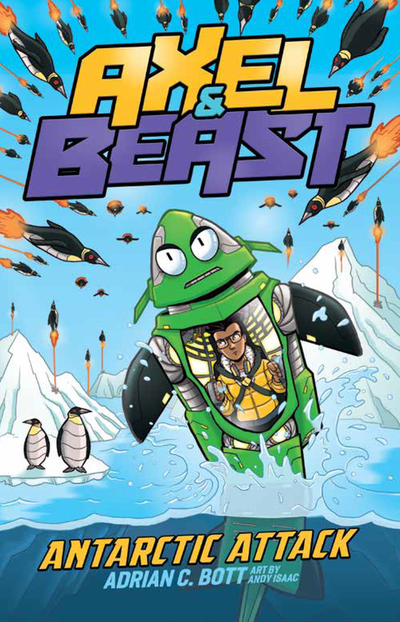 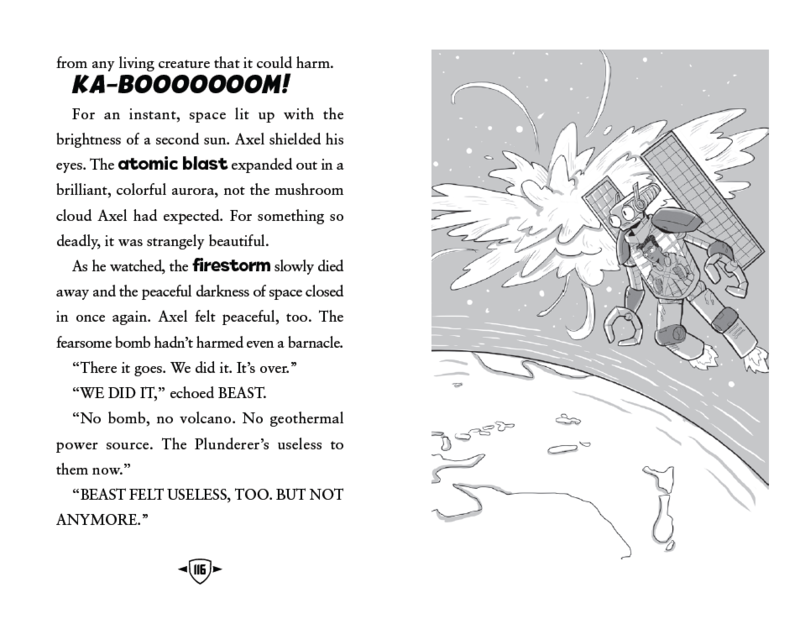 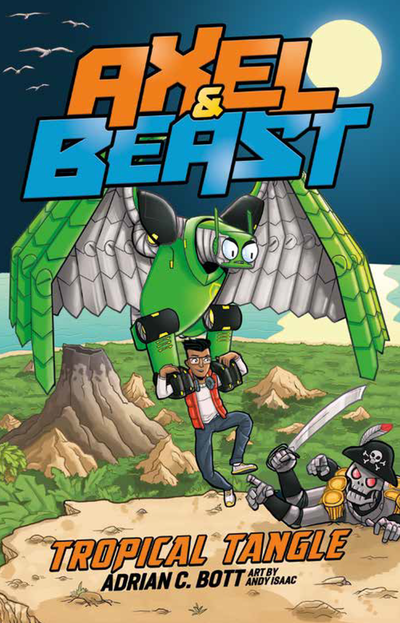 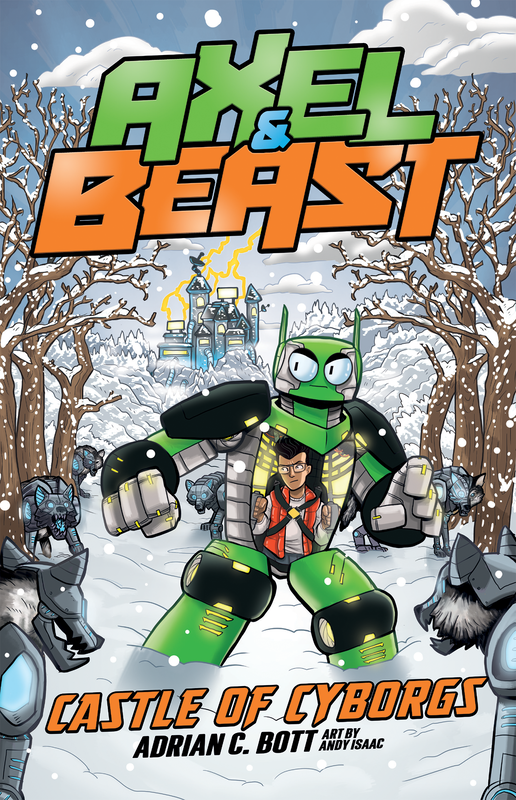 The Axel & Beast books are packed with super-cool tech, a diverse cast, a lightning-fast pace, and word art and energetic illustrations, along with exaggerated, over-the-top situations – and villains – to keep emerging readers glued to the page. 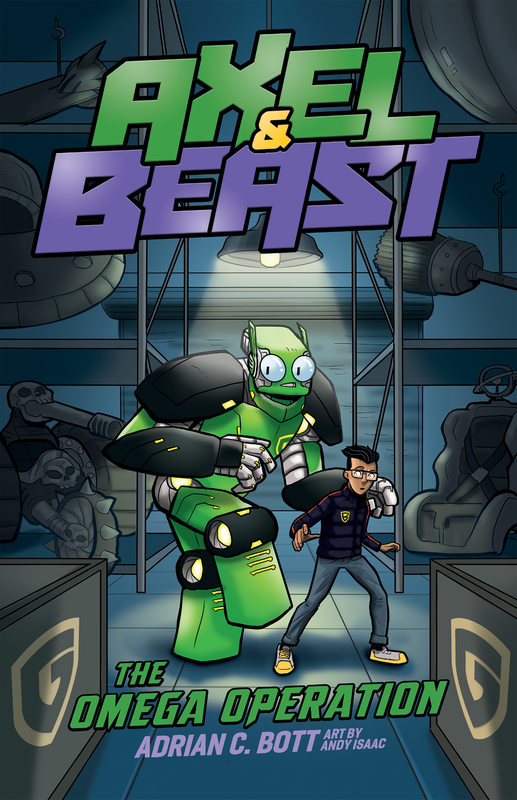 Themes include friendship, teamwork, diversity, the environment, kindness, empathy, and standing up for what you believe in. 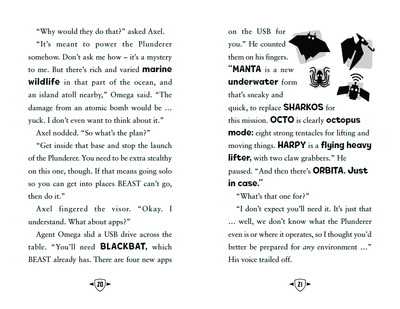 Click here for games and activities for Tropical Tangle!